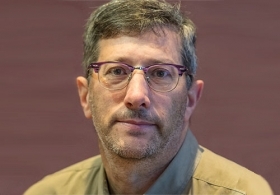 Richard Truett is Technology and Engineering reporter for Automotive News. 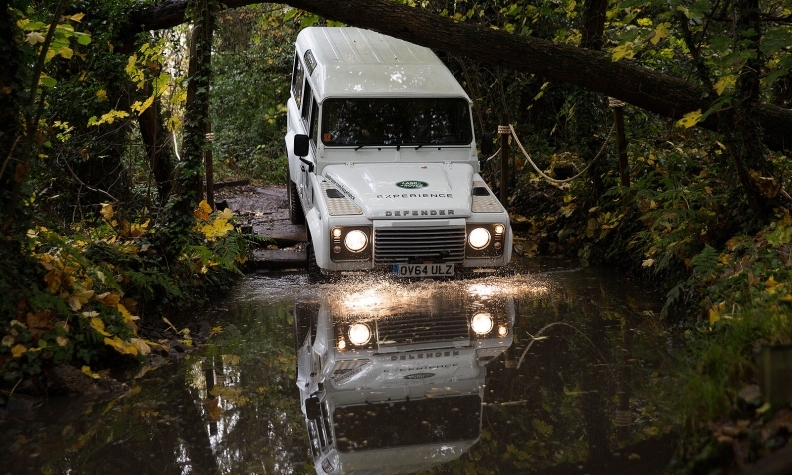 A Defender navigates a test course at Jaguar Land Rover's plant in Solihull, UK. PALM SPRINGS, California -- Gerry McGovern, Land Rover's chief design officer, can't go anywhere these days without the subject of the next Defender coming up almost instantly. And so it was moments after sitting down to dinner with journalists last week during a press preview here for the new Range Rover Velar. A reporter asked McGovern if he felt pressure about the Defender as its public debut -- probably late next year or in early 2019 -- approaches. "That didn't take long, about three minutes," McGovern said, smiling. The next Defender is the most important vehicle -- I think -- in Land Rover's 70-year history. The rugged all-terrain vehicle is the soul of the brand, a global design icon and one of the toughest and hardest working vehicles ever produced. It has won a rabid following in every corner of the world for its durability in inhospitable places, such as jungles, deserts and swamps. Today, all versions of the Defender, from the Series 1 that debuted in 1948 to the last models made in early 2016, are highly sought after collectibles with rapidly escalating prices. Although McGovern won't reveal details about the next Defender, he gives clues here and there. First, and most important: McGovern said the design work is complete. Now it is the job of Land Rover engineers to take McGovern's vision for the next Defender and make sure it lives up to -- and perhaps exceeds -- the original. He says Land Rover engineers are "hellbent" on doing just that. More clues came in a presentation to reporters here. McGovern describes Land Rover as having three members: Range Rover, Discovery and Defender. He lists the traits that each must have to be true to its original mission and to succeed today. For the Defender, these boxes are ticked: design leadership, durability and engineering integrity. There's also a sketch of the Defender's silhouette shown on a flat-screen TV that shows the vehicle with a flat roof and squared-off front end, like the original version. But purists looking for a retro Defender likely will be disappointed. "I am a modernist," McGovern proclaims. "I'm looking forward, not back." So how can the new Defender retain its original shape and yet have a fresh, modern design that is instantly recognizable? McGovern's previous work on Range Rover and Discovery, I believe, point the way to the next Defender. When the Range Rover was replaced in 2013, the basic shape stayed the same. The sloping roof remained and the shape of the side windows was evolutionary, not revolutionary. The biggest appearance changes came in the vehicle's jewelry -- the headlights, taillights, grille and exterior badging. All were new and fresh and yet were reminiscent in some way of the brand's styling cues. The interior became softer and more sophisticated. The new Land Rover Discovery and Range Rover Velar pay close attention to aerodynamics. They are smooth, rounded and filled with design flourishes that pay homage to the past without aping it. Example: Compare the roof of the 2016 LR4 (Discovery in other markets) with the newly redesigned 2017 Discovery. The raised rear portion -- a design cue harking back to the original early '90s Discovery is still there, but it is toned way down. And this shows how I think the next Defender will evolve. It will have boxy fenders, but look for fresh edges and curves that smooth out the crude, utilitarian traits of the old version. I'd wager the next Defender will have flat sides, but look for an interesting flourish that draws the eye from the front of the vehicle to the rear. The taillights will be modern, but you'll recognize the shape. The headlights will likely be round like the originals, but look for some interesting lighting, either from LEDs or some other new light source. All these things are classic McGovern. The really tough design and engineering work for the Defender will probably center around such things as the convertible top, which needs to be a heck of a lot better in every way than the top on the previous Defender. It needs to be easy to lower and raise as well as more effective in sealing out wind and water, something the old vehicle's top never did well. And the new Defender will have to be quieter and more refined than the old one, but also be just as unstoppable. More clues: McGovern says there will be a family of Defenders. I'd look for at least four models. There will certainly be a Wrangler-like two-door convertible and a five-seat Safari wagon. But I'd also look for a seven-seat version on a stretched wheelbase. And there will probably be a pickup version, though we are unlikely to get it in the United States because of the 25 percent "chicken tax" on imported trucks. As a brand, Land Rover has been setting sales records almost since the day Tata Motors took over in 2008. McGovern's design vision can be credited for much of that success. But the Defender is undoubtedly his toughest assignment yet. There is a lot of trepidation among the designers responsible for the next generation of such iconic cars as the Ford Mustang, Chevrolet Corvette and Mercedes-Benz S class. Designers constantly fear they are going to screw up a cherished vehicle. Not McGovern. If he has any doubts about the Defender, he hides it well. McGovern never exhibits anything but total confidence, maybe even a little bit of a swagger. And that works in his case. Because when it comes to Land Rover, he not only gets what the brand stands for, but he has successfully evolved Land Rover's design language while keeping the brand true to its roots -- never an easy thing to do.